Fortunately, due to advances in obstetric medicine and high standards of pre-natal care, all birth injuries in Canada are relatively rare. However, some birth injuries are less common than others. Bruises, swelling and brachial plexus palsy are among some of the most common birth injuries. Brain injuries causing cerebral palsy and fractured collar bones, while uncommon, are still common enough that when they occur, birth injury is suspected as the cause. Unfortunately, the birth process so rarely causes some injuries that individuals affected may fail to consider birth trauma or medical malpractice as a cause of the injury. If your baby is injured at or around the time of its birth, consult a medical malpractice lawyer to determine whether the injury may have been the result of a birth injury or medical malpractice. In very rare cases, birth trauma has caused intracranial aneurysm. An aneurysm is an area of an artery that is swollen up like a balloon due to weakened arterial walls. The weakened walls can leak or burst, causing bleeding into the brain. It is possible for an aneurysm that has not ruptured to go undetected for months or even years, making it difficult to link the aneurysm to birth trauma. 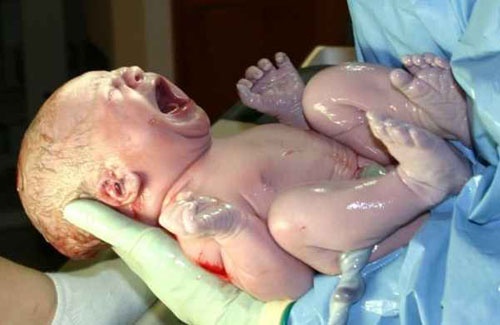 Damage to the baby’s internal organs is very rare during birth. However, ruptured spleens or adrenal glands and lacerated livers are not unheard of after a difficult birth, particularly if the fetus presents in an unusual position, such as a breech delivery. Gastrointestinal perforation involves a puncture of the baby’s stomach or intestines, with the result that the contents of the gastrointestinal tract flow into the abdomen. This is an extremely rare birth injury, but is often fatal. It has recently been linked to premature delivery and certain other risk factors. Rib fractures occur very rarely during birth. However, they may occur more frequently as a result of resuscitation attempts. If your newborn is diagnosed with rib fractures, your medical malpractice lawyer can help you determine the cause of the injury and whether malpractice was to blame. Most dislocated hips diagnosed at birth are congenital, which means that the baby’s hip developed that way in the womb. However, a baby’s hip can be dislocated due to trauma during birth as well. You may need to have specific tests done, such as an MRI to determine the cause of your baby’s hip dislocation. It is important to contact a medical malpractice lawyer as soon as possible if your baby is injured at birth, even if your baby’s injury is not one of those commonly attributed to birth injuries or medical malpractice.